AVELLUM acted as a legal advisor to the seller regarding the sale of Karavan hypermarket chain to Auchan Group. On 20 July 2017 the Antimonopoly Committee of Ukraine granted a merger control clearance for the acquisition of Karavan hypermarket chain by Auchan Group. The acquisition was completed on 5 September 2017. After this acquisition Auchan Group will operate 20 hypermarkets in nine cities of Ukraine and employ about 7,000 people. 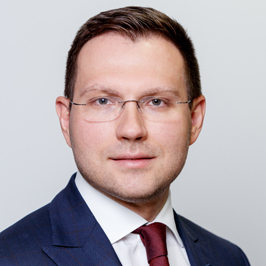 The AVELLUM team involved in this transaction was led by counsel Yuriy Nechayev, with support from senior associate Yuriy Zaremba and associates Dmytro Tkachuk and Ilhar Hakhramanov, under the general supervision of the managing partner Mykola Stetsenko.